carlatour48 heeft een foto geplaatst 18 apr. Are there fees for three and one year old children? The rates are per room, we have family rooms with 2 double beds and if you need 1 sofa bed. What is a good e-mail address to communicate with the hotel. We have reservations for April. You may try: info @ colomagalapagoshostal . com. 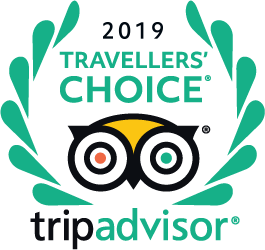 Sorry spaces put in because Trip Advisor does not allow links to be posted. What is the smoking policy at the hostel, can one smoke outside the rooms? Thank you for contacting us. I inform you that we have areas where you can smoke in the hotel that if outside the rooms. How far away is the hotel from the dock?